Not many people would have thought before the season that our last appearance before the national team break will be a derby as guests to NKE-Csata. The well-structured team of the newcomers from the capital has been doing very well so far, they are at the second place of the table right behind us with four wins and one loss. They have got their only defeat against league silver medalists Szeksz�rd, but the 54-61 result shows that they gave a really hard time to Zeljko Djokic's team in the capital city. Their 67-64 victory in Di�sgy�r speaks for itself! Their excellent performance is the result of a building process well thought through. Besides many youth national team members they have a veteran Hungarian N�ra Nagy-Bujdos� at hand, and they managed to find two Americans who fit in their concept very well. 197 cm's tall Kelsey Nicole Lang counts as a solid presence under the rims, and she is also strong in rebounding. Kelley Eileen Austria is of much use for Kriszti�n Tursics's team in the perimeter positions. With their precise defense they have cause many trouble for their opponents. We are also strong in defense, but we have some low periods in our game the length of which we need to make shorter. We are in a rough stretch, but the performance shown at the home of Fenerbahce gives us reason for positivity, and we hope that we will be able to keep our unbeaten streak alive in the Hungarian championship series. Before the game we asked Zs�fia Licskai about her expectations. 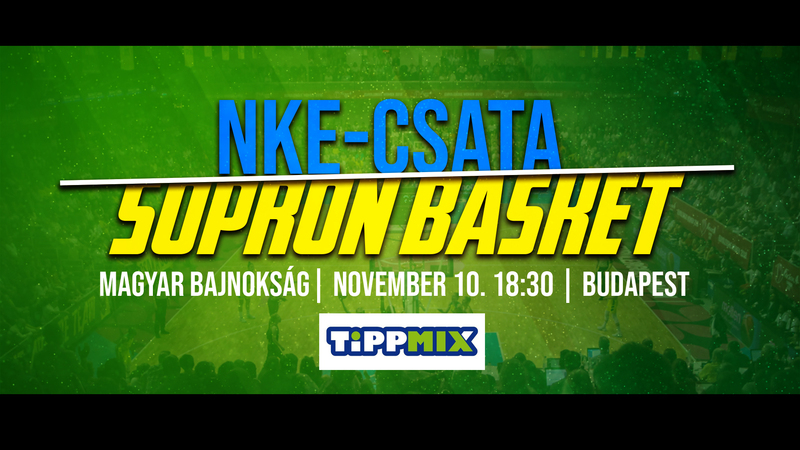 The game will be played at 6.30 pm in Ludovika Ar�na (1089 Budapest Di�szeghy S�muel utca 23-25).